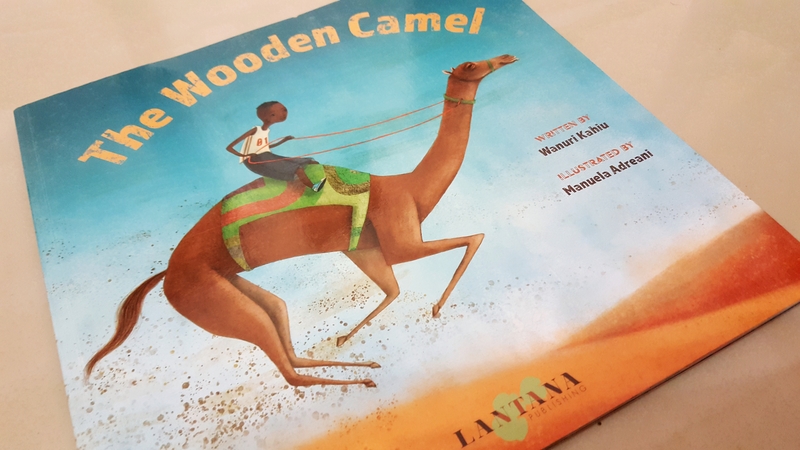 The Wooden Camel is a story set in Turkana, Kenya about a little boy, Etabo, completely obsessed with riding camels. His family owns a few, but before he is big enough to ride, his father sells them in order to afford water for the family. Etabo prays and is assured that his dreams are enough. With no camel to ride, Etabo and his older brother Lopeyok and sister, Akiru are tasked with herding the family’s goats. It is a mundane task but they have each other and the stubborn goat, Keti, for company. The price of water keeps rising however and his siblings have to go and find work. He gets lonely and wishes more than ever he could ride a camel. Because he can’t, he begins to settle for anything in sight. He tries to ride goats and chicken and even Keti the goat. His sister sees his despair and whittles him a herd of camel made of wood. Excited, he goes to play with the camel herd in the sand, and they seemingly come to life and he is able to ride! That night he thanks his sister for her kind gift and remembers Akuj’s words – his dreams ARE enough! One of the most beautiful things about this story is the relationship between siblings. Akiru and Etabo especially are great examples of the love that should exist between an older and younger sibling. For children that sometimes find it hard to tolerate their younger siblings, it’s a great story. This story also helps children see a life that is probably different from their own. That Etabo’s family is struggling to buy water might not be something they can relate to, but is important for them to understand nevertheless. They are able to appreciate all that they have a lot more and see that even with little, it is possible to be happy and content. Like all books, the story also encourages the power of imagination. Etabo’s family might not have been able to afford camel anymore but through imagination, and a little love from his sister, he was able to ride. This book is great for four to six year olds as it is filled with illustrations and words easy enough to understand. It is also written in present tense so the children are able to follow the story like it is happening in real time, which makes for more engaging content. 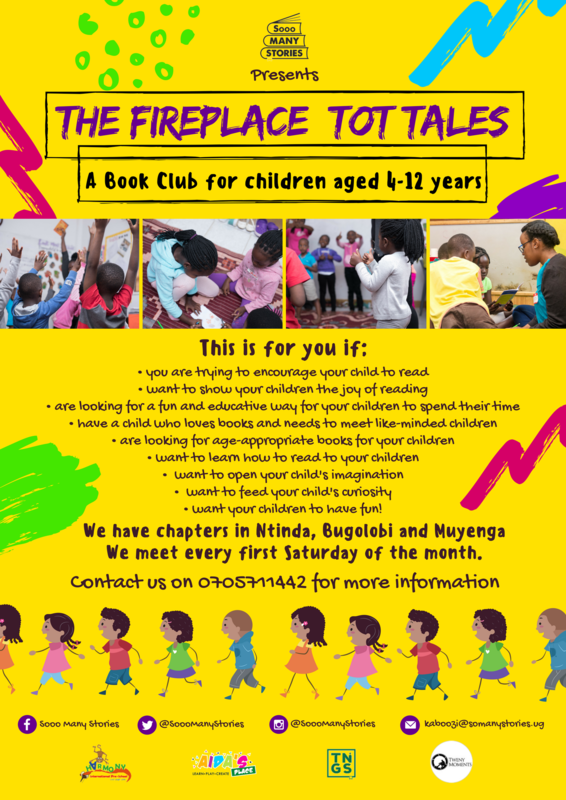 At our children’s book-club, The Fireplace: Tot Tales, we delve into titles like this and more! Would you like your child to be a part? Reach us on 0705711442 or 0788310999 for more information.